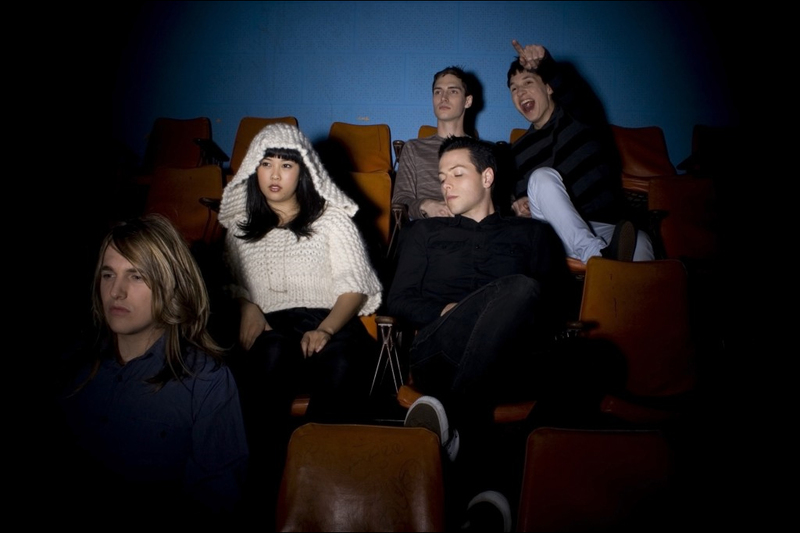 Here is a little too much information about new New Zealand band, The Naked And Famous. :: The Naked and Famous are Thom Powers and Alisa Xaya. :: They met while studying at Auckland’s music school MAINZ, and promptly dropped out, formed a band, signed a record deal and recruited three other musicians. :: Their name comes from a lyric in Tricky's song, The Tricky Kid, which they claim represents "cynicism towards the idea of being a 'rock star'". :: Which is just as well, because they are neither naked nor famous. :: Each member had a very different reaction to Ice Age 3.
:: Nepotism alert! Drummer Jess Wood went to school with Joseph from Temper Trap. The Naked And Famous later blagged a support slot on Temper Trap's Australian tour. :: They sound similar to Passion Pit. Especially if by "similar to" you mean "exactly like". :: You can buy a Naked And Famous t-shirt modelled by a young man with lip piercings and tattoos. It is 100% cotton with a double needle bottom hem and sleeve. :: Their current single, Young Blood, debuted at number one in New Zealand, the first record to do so since Sean Kingston's Beautiful Girls in 2007. The band said they were "pleasantly surprised". :: The song is getting a UK release on tiny trendy label Neon Gold on 6th September, if you'd like to hold a copy in your hands. :: Here is the video. Want more? Here is their MySpace page.